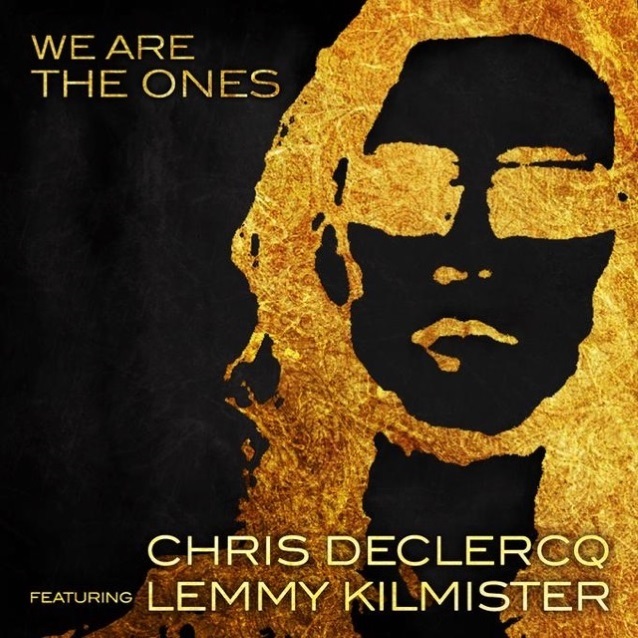 Iconic MOTÖRHEAD frontman Lemmy Kilmister is featured on “We Are The Ones”, the new single from Chris Declercq, which was released today (Friday, December 1) via San Diego-based label Pacific Records. The track, which was co-written by the late rock and roll legend, features Lemmy on lead vocals and bass. It can now be streamed below. “We Are The Ones” was recorded and co-produced by Cameron Webb (MOTÖRHEAD, NOFX, WEEZER) in 2014 at Paramount Studios and mixed by John Lousteau (FOO FIGHTERS, THE USED, AGAINST ME!) at Dave Grohl‘s Studio 606 in Los Angeles. The song also features Josh Freese (VANDALS, A PERFECT CIRCLE, GUNS N’ ROSES) on drums and Chris Declercq on guitar. Award-winning filmmaker and music producer Martin Guigui contributed production to the completion of the song and also directed a behind-the-scenes promotional video about Chris‘s journey and the making of the song, to be released in conjunction with the single. Declercq is a lead and rhythm guitar player, songwriter, producer and arranger currently working on his first solo album in Los Angeles featuring former members of IRON MAIDEN and ALICE COOPER, as well as other well-known guest artists. Recognized for his extraordinary guitar skills, Chris has performed and worked over the years with a host of world-class musicians, including Lemmy. Originally from Switzerland, Chris followed his dreams by moving to Hollywood at age 18 to further his music career. Chris‘s incredible journey landed him inside Lemmy‘s favorite room at Paramount, where they gelled well to create “We Are The Ones”. While Lemmy only intended to sing lead vocals, he volunteered to play bass too, after hearing the first takes of the track. “We Are The Ones” will be made available on iTunes, Spotify and all other digital music stores December 1 and also as a limited-edition hard-copy single exclusively with Pacific Records. An audio sample of “We Are The Ones” is available at Amazon. Lemmy, who celebrated his seventieth birthday on December 24, 2015, learned two days later that he was afflicted with an aggressive form of cancer. He died two days later, on December 28, 2015, at his home in Los Angeles.